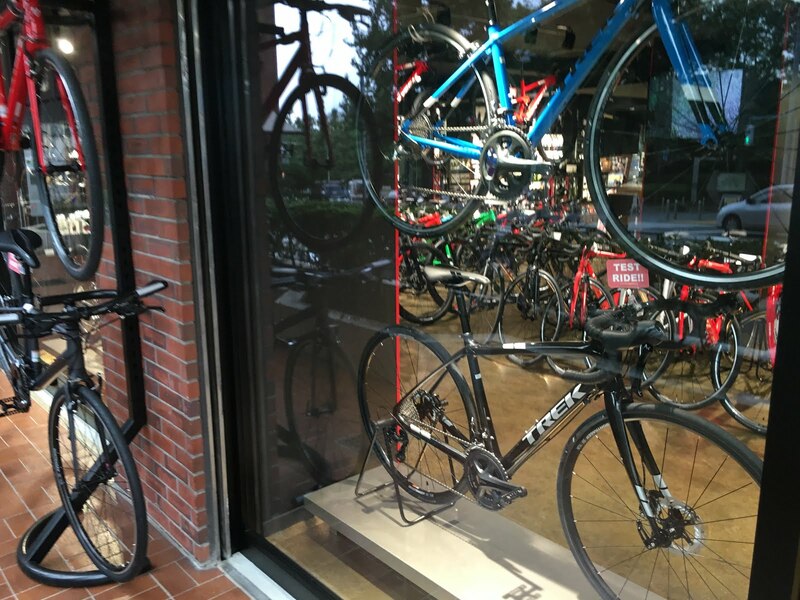 In Tokyo, the cycle shops open, and they close. I mostly ignore it, since I do not have enough business to patronize even the ones I feel commitment to (Positivo, C Speed). And by all accounts it is not an easy business. But I could barely ignore the brand new shiny store on Komazawa Dori as I rode by Komazawa Park last week. At night the store was dark but some shiny new Trek road bikes were in double decker display in each window, suspended in space. Very impressive. The name looked like Cloro bicycles, but I guess the "C" was just a wavy cloud at one end of the logo. 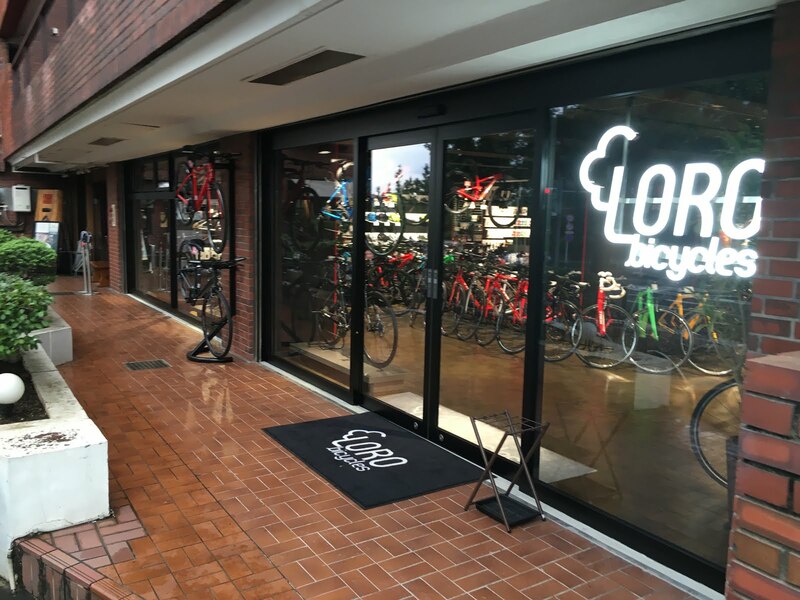 LORO Bicycles. I finally went by the other afternoon on Friday, during business hours. I needed a spare spoke and thought it would be a way to at least take a look inside and see the place. It is a 100% Trek shop. Trek. Bontrager (Trek components). Maybe even some Gary Fisher (Trek MTB brand). More of the same. Nothing original. I asked about getting a spoke. They said they would need to do a special order. I declined and walked out. 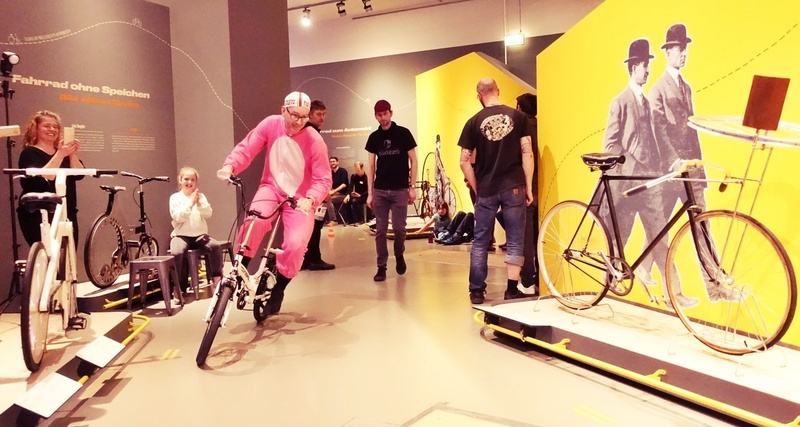 Really a disappointment if this is the future of cycle retailing. No reason for me to go back, ever. 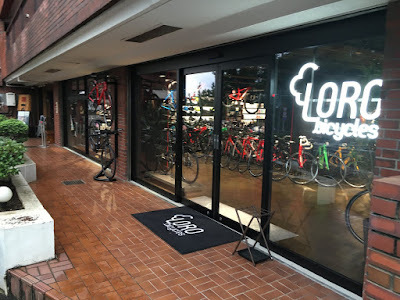 About the same as the Trek concept store at Roppongi Hils ... unless I get a flat tire right outside the door during business hours and lack a spare tube. 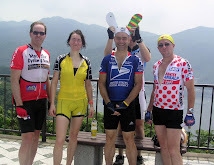 And I have still not forgiven Trek for the Lance years. 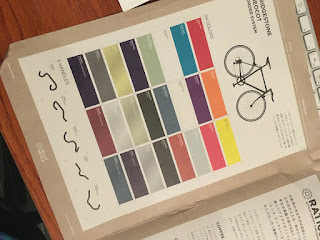 The same afternoon, I was in Aoyama (where I did actually pick up a single 260mm spoke at Nalshima Frend, though only a temp fix since it does not match the wheel). On "Killer Dori" just after leaving Nalshima, I passed the shop that, last I recall, was a Bridgestone "Anchor" concept store, showing off bikes but not selling much, if anything. It is still a Bridgestone store, but no longer promoting the "Anchor" brand (which is in plenty of cycle shops in Japan, sponsors a UCI Continental team). 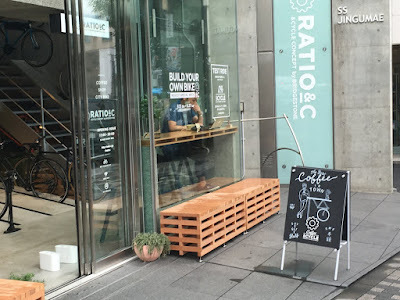 The new concept (well, new to me, not sure how long it has been around) is called Ratio & C.
This is a very attractive store, at least at first glance. They sell coffee, latte, etc. and have space to hang out. They offer two Anchor "Neocot" steel frames, with a WIDE range of customization possible. 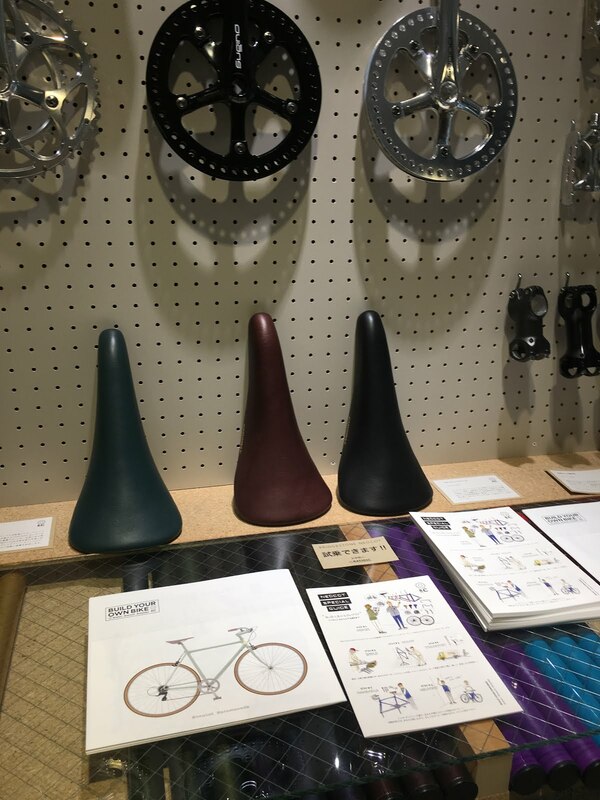 This is very style-focused bicycle shop, but the gear looked rideable for getting around Tokyo, and much higher quality than "Tokyo Bike" or similar style-focused shops. For example, in addition to the standard Bridgestone saddle, they offer 7 other types, including Fizik Arione, Brooks Cambium C17 (and women's version) and a Moca Kashimax. They offer a Nitto S65 seatpost in black or silver (the same as I have on my Randonneur bike). 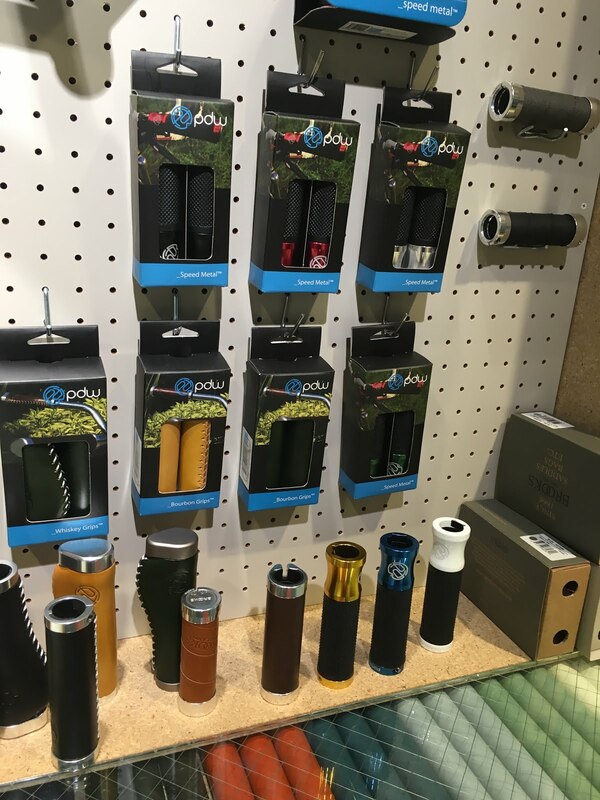 Portland Design Works option for the hand grips. And they offer the two Neocot frames in 24 colors, so you can get one and not have another similar one in the bike parking lot. This is a concept that actually looks like it fits the market (central western Tokyo) and the times, and will end up with people having bikes they really enjoy. Blue Lug is another small chain of shops - mostly in the Shibuya area I think. I've bought online from them, but haven't visited any of the shops. They seem so be uber-style focussed, but lots of quality stuff as well.